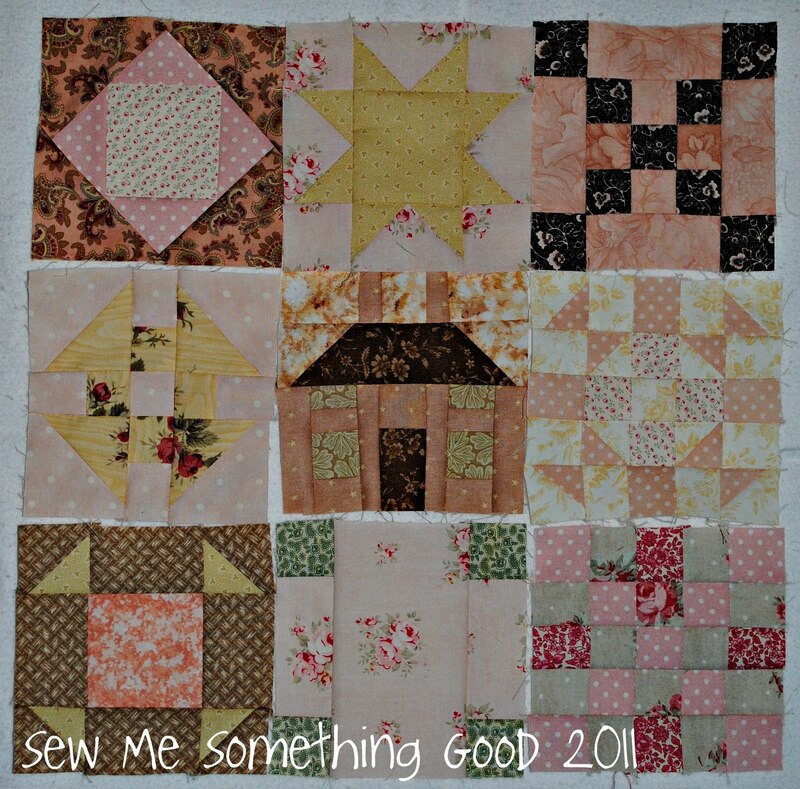 I've been stitching up a few more 5" blocks from my scraps. These soft pinks/yellows and taupes are more challenging for me than my usual bright colours (you will notice I did include two darker fabrics in browns - afraid it was looking too flat without some stronger colour). I'm considering redoing the center block so that the fabric for the windows will be more noticeable. It's a reminder of how important it can be to step back; take a look at fabric combinations before sewing. Otherwise, you may discover that the contrast that seems apparent when you're close, doesn't exist from further back. Ahem. 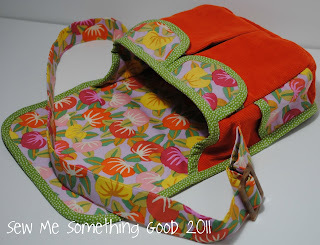 It's been overcast and rainy here, so I think I'll get the crockpot going and I'll have more time today to sit and sew. What are you/ will you be working on today? 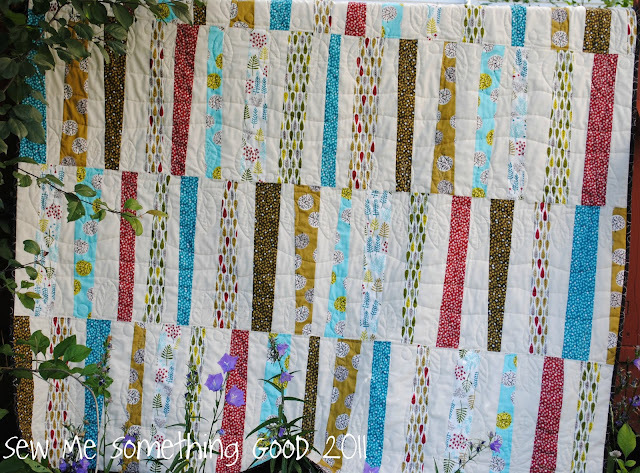 After reworking my sewing room over the weekend, I came across some stored leftovers from this quilt and decided to add in some other bits to make some little blocks. P.S. Just a reminder for all you quilters out there, that today is giveaway day for you over at SewWeQuilt. Go there now and enter to win some fabulous quilting tools and fabric. This weekend brought some changes to my sewing space. I've slowly been adding shelving to make my supplies more accessible. 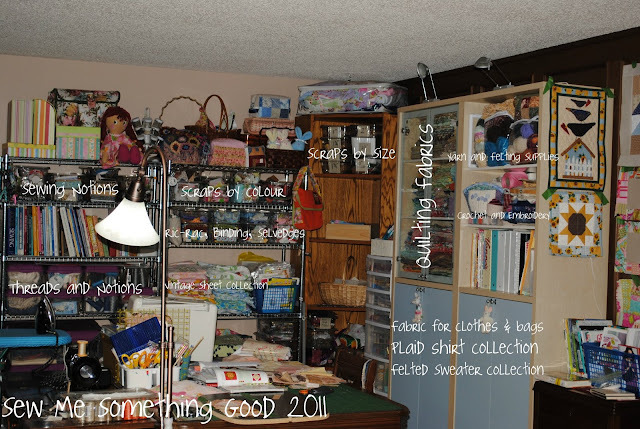 My goal has been to get all my fabric/yarn/embroidery/needlepoint/crochet and felting supplies out of the the huge plastic storage tubs (...you can just catch a glimpse of the last 6 along the wall on the lower right). Earlier this year, I picked up two wire shelving units secondhand, which meant some fabric was finally out of the tubs, then on Friday I found a pair of used IKEA cabinets for sale. Over the weekend I set about unpacking those 6 storage bins, to put everything into my new units. I was happy to find that it all fit - without an inch to spare, but it's now situated so I can more readily access everything I need. Whew. 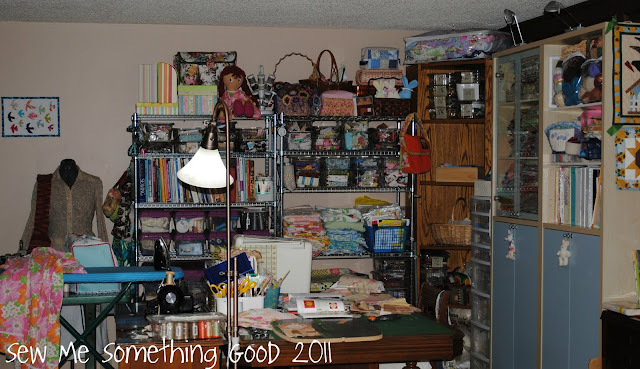 I had been looking and waiting to find something I could afford that would be more than a set of open shelves because I wanted my fabrics behind doors (protected from dust etc.). 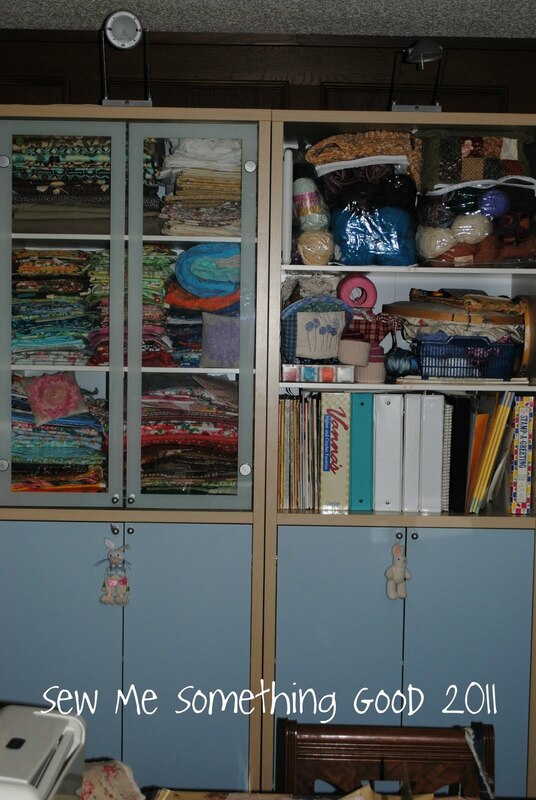 I stacked all of my quilting cottons on the shelves behind the glass doors (where I can see them and be inspired) and the rest of my assorted fabric stash is nicely contained behind the solid lower doors in both cabinets. Bonus - see the lights that sit atop the cabinets? I can use all the extra lighting available! Another smaller, yet important change to my sewing space happened this weekend while I was working on a gift. I was pressing a portion of a quilt block when I smelled something burning. Turns out, it was my iron! I quickly unplugged it before it got any worse, but it couldn't be saved. 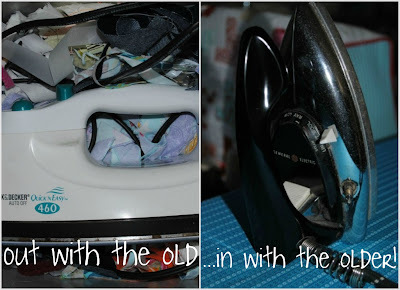 A vintage iron I picked up at an estate sale (bought because it reminded me of the iron my great-grandmother had and taught me to press clothes with when I was a girl) came to my rescue. For something so small, it certainly gets hot enough to take the wrinkles out of anything I've put it to work on. I think it could even press the wrinkles from an elephant's hide - it gets that hot! 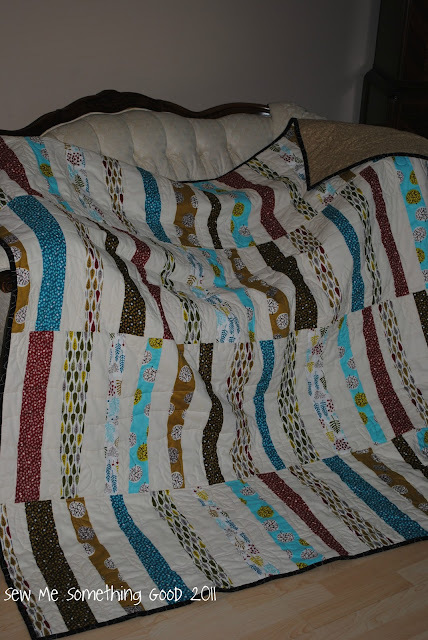 Here's what I was piecing when my modern iron had its meltdown, a flannel doll quilt for my youngest niece. 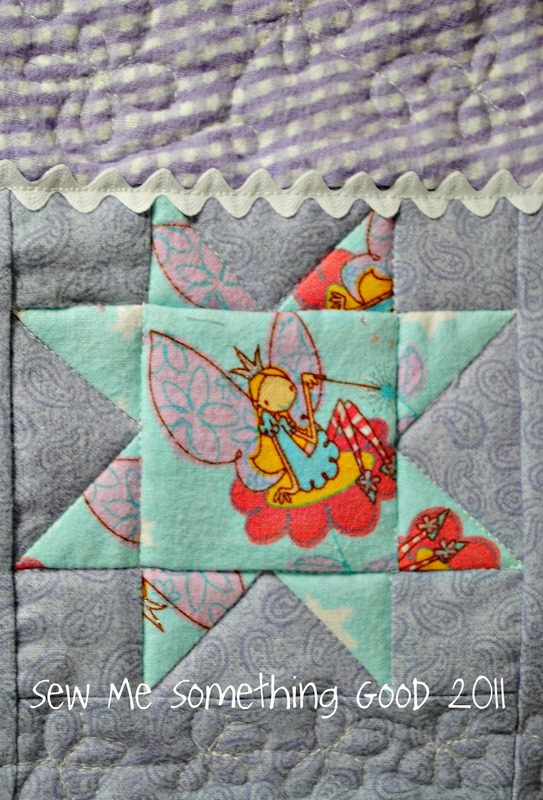 The central part of this quit is from scraps, I used all I had of both fabrics, something that always makes me happy. I'm hopeful that with a better set-up in my sewing room, that I will be even more productive. For all the years I've sewn and had fabric, this is the first time it hasn't been kept in either a cardboard box or a huge storage tub. 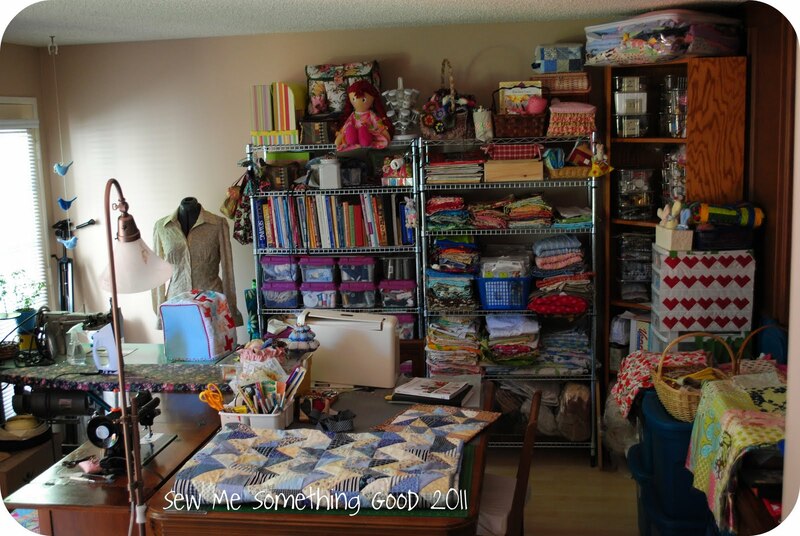 This is also the first time all of my sewing needs are in one room - a room that is known as the sewing room. It seems so amazing to have it. As you can tell, I'm pretty excited about the new changes and hope to be more productive as a result of it. 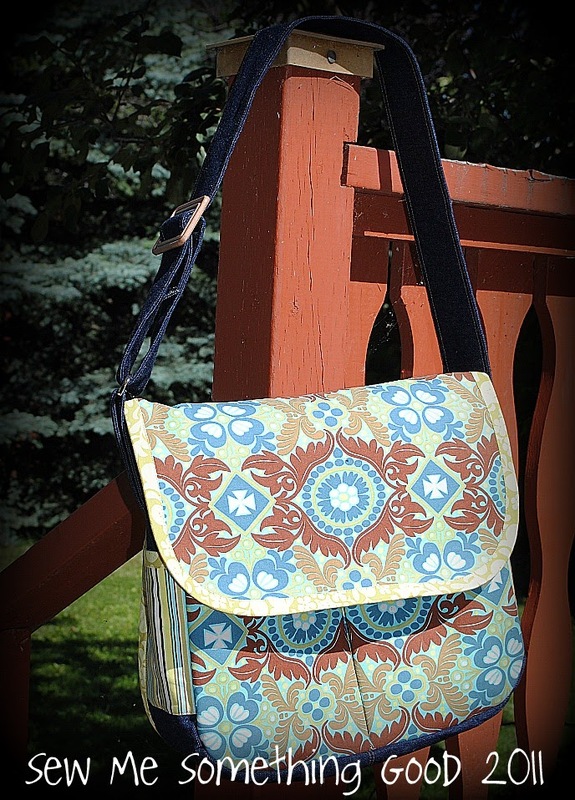 The first two messenger bags I made using the pattern from Oliver + S book, were gifts for my nieces, but I loved the design so much, I wanted one to keep. 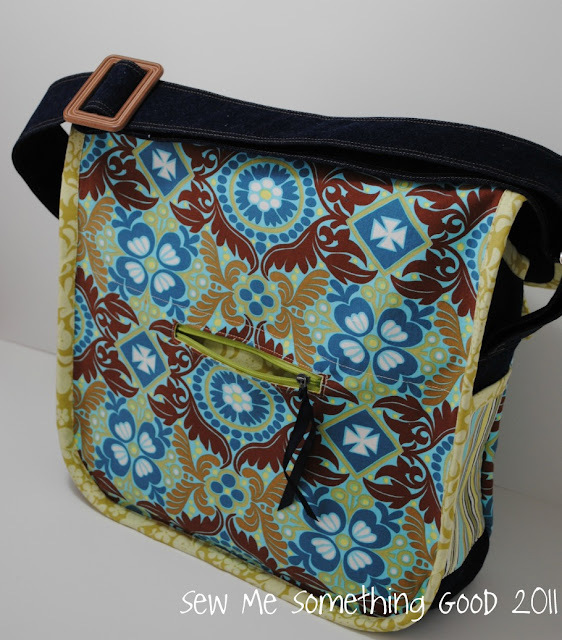 Liesl has given the messenger bag in two sizes, so this time around, I made the bag in the largest given size. No matter which size you make, this design is a fantastic canvas for combining favourite fabrics and/or embellishments. Thinking that Autumn is just around the corner, I chose colours more in sync with the upcoming season. Two of my hoarded Amy Butler fabrics are paired with a medium weight denim and then the self-made bias binding is Henna Garden from Sandi Henderson. 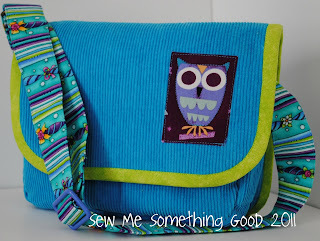 The details on this bag make it so fun! 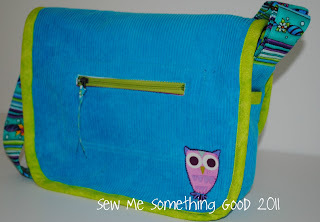 Although, I'm still debating over adding snaps to the striped pocket flaps. 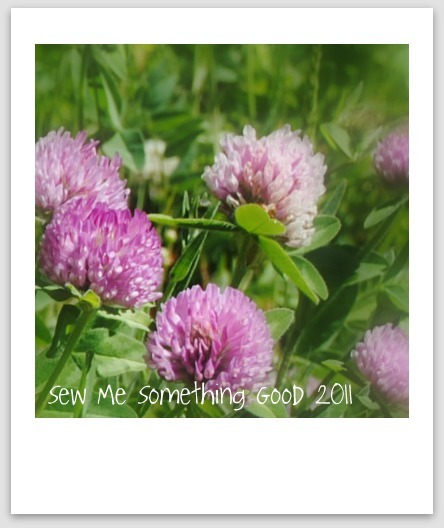 I didn't put snaps on the versions I made for my nieces. I figured that snaps might frustrate their little fingers. I'm half inclined to think I might be annoyed by having them on my bag (not that my fingers are little, but I hate closures that may impede quick access to pockets). Hmmmm. Perhaps once I use the bag, I'll have a better idea whether the snaps would be a good idea or not. For the main slider on the strap, I found a vintage belt buckle (another from my bountiful thrift stash) and just removed the prong that would secure the buckle to the holes in a belt. 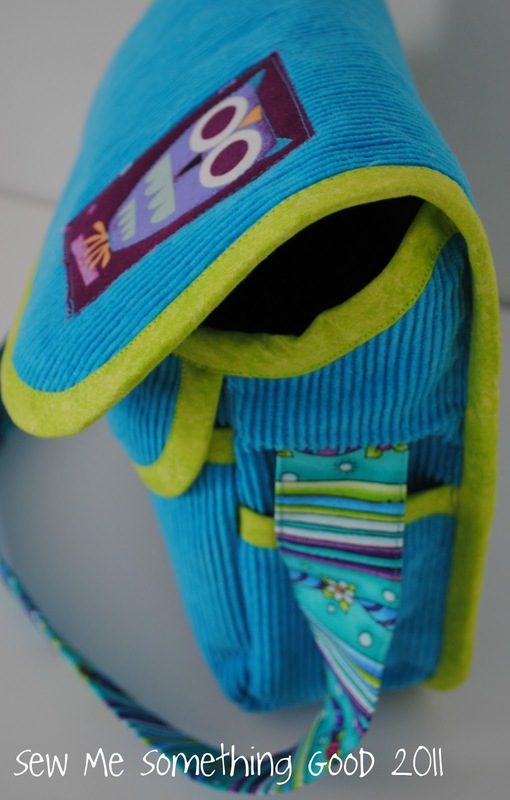 This way the strap will slide smoothly through the buckle, just like a slider is meant to. 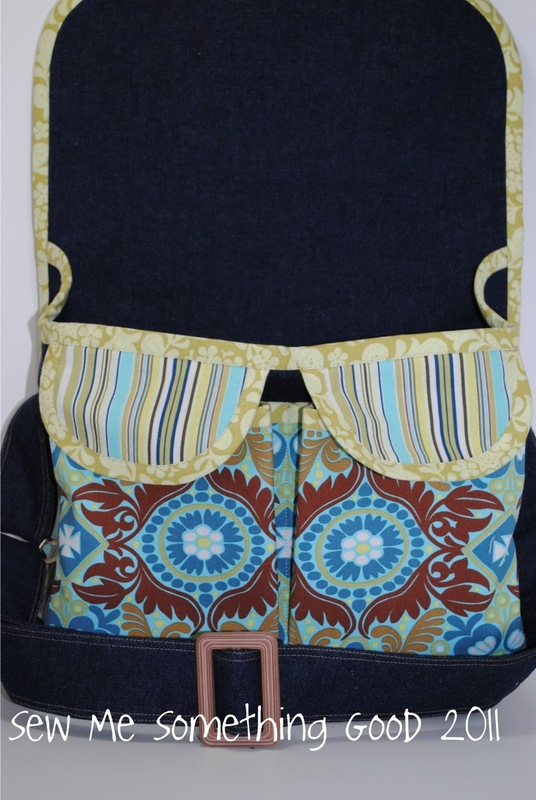 I also included the inset zippered pocket on the back of my bag, bringing the total number of pockets on my bag up to six. I like to keep the contents of my bags organized so I can't have too many pockets! 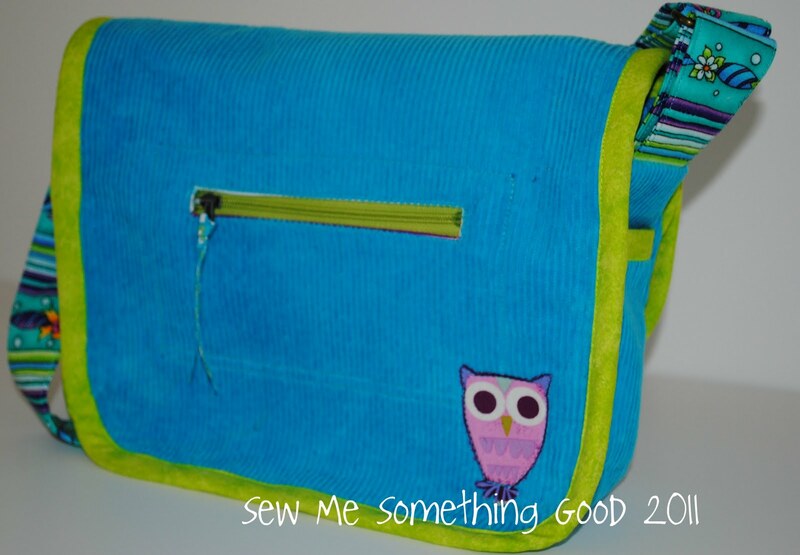 I'm all set to switch my wallet and other purse paraphernalia (such as this matching wristlet), from the one I made last year, into my new bag. A new bag for a new season. Do you have bags for each season? I'm trying to be patient with myself. I have so many ideas in various stages of development right now - some are just seeds, others are further along and more like seedlings, but I find myself looking for some blooms. Blooms are exciting to share. Not so exciting to show you are the starts/stops/try agains/half-dones or oops that are the contents of my sewing space at the moment. Here's hoping that with a little patience, I'll have a bloom or two to show you soon. If there's one thing I've learned about creativity... you can't rush it! Excuse me for looking a bit dazed today. Now you know why I will be looking rather dazed today (being awestruck and giddy will do that to you, you understand...)! Please, register with me, then go to Sew We Quilt, become a follower and leave a comment on a giveaway post. You can have a chance to win something too. 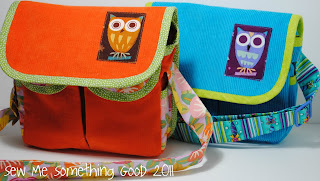 They are having quilting supplies to giveaway 5 x a week for the next 11 weeks! The campaign began Aug 1st and runs till Oct 29th. A Wantobe Quilter is someone who has no quilting tools, has never quilted. 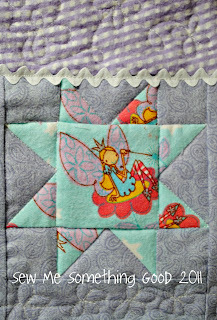 quilting stuff too…Tuesdays and Thursdays are days for us. 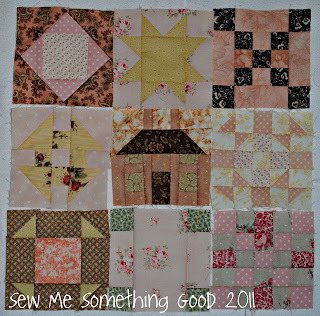 ( that is Quilters) we have supplies but we can win and better ones..
over at www.sewwequilt.com That is all! There are over 53 Sponsors involved. while my youngest son baked me something sweet for my birthday. The second bag is brighter than the first! The child-size messenger bag pattern in Liesl's book, is so irresistible. I had to make another. 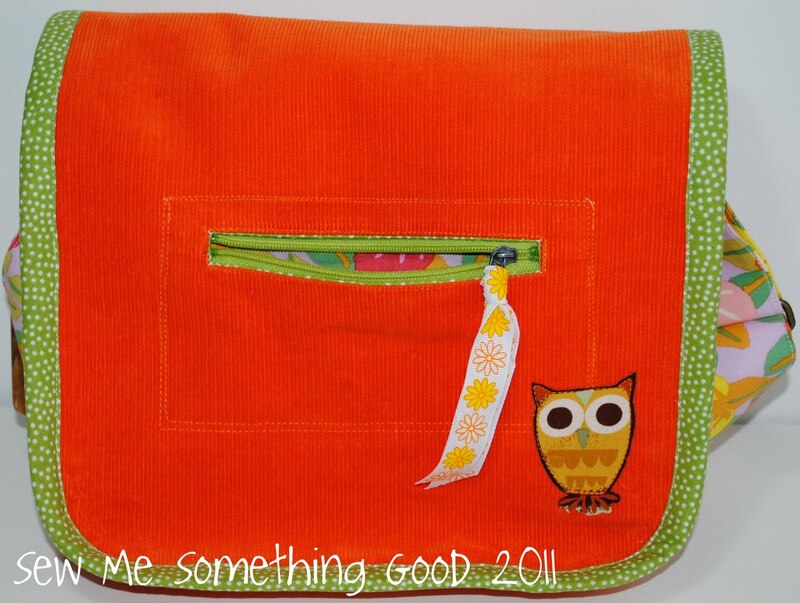 This time around I used some fine wale corduroy in eye-popping orange! I added the inset zippered pocket to the bag's back, once again, along with appliqueing those big eyed owls for decoration on the front and back of the flap. 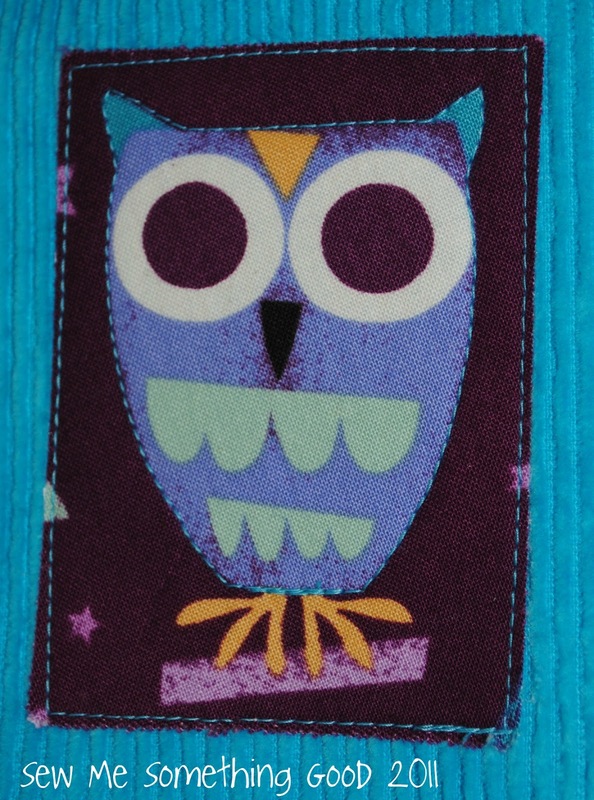 I played around with using prints for the pocket flaps and the side pockets rather than using the corduroy for the face fabric (like I did for my first version). I'm hoping that the Kaffe Fasset fabric makes it look more girl-y than a solid orange bag would look. Happily, I found another slider to use for the adjustable strap in amongst my thrifted stash of hardware and notions. Yesterday, after I hand delivered the two quilts made for Quilts Recover to Cheryl, I stopped by the local fabric store for a browse. Maintaining restraint as I shopped their sale, I came home with only 4 fabrics, three of which are to be used to finish the quilt I designed from scraps. See that fourth fabric in the stack in the right hand photo above? I plan to use it for the backing, with the coordinating darker fabric just above for the quilt's binding and the white will be used to add to the width of the quilt top (I know, I said I was done, but I think one more row of "bits" will finish it nicely). What about the fabric on the top of the stack? Well, that was my first find of the day - some of Sandi Henderson's Meadowsweet II and I just couldn't resist. Not sure what I'll be making with it just yet, but I will come up with something. Meanwhile, all that's left is for me to pick up some batting and I can get down to basting my quilt! 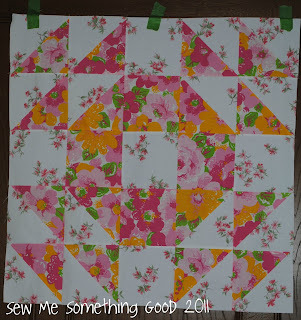 Four blocks and it's a quilt top! 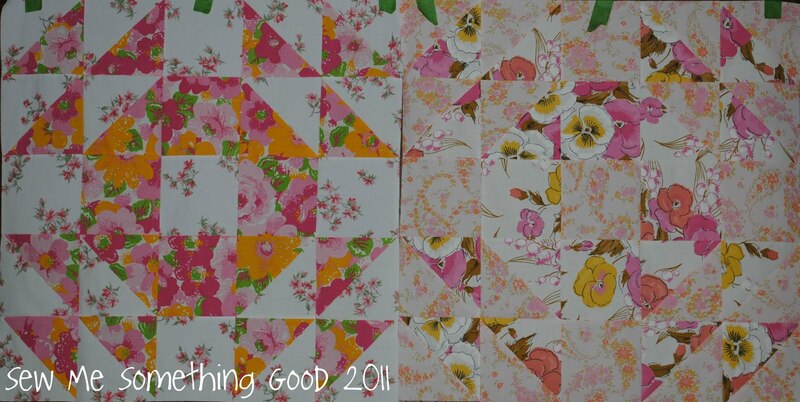 This has to be the quickest quilt top I've ever pieced. I love that it's made from eight vintage sheets. Cute owls, bright colours, pretty fabric and a super cute, easy pattern? Once again, this is one of the benefits of using my library card. 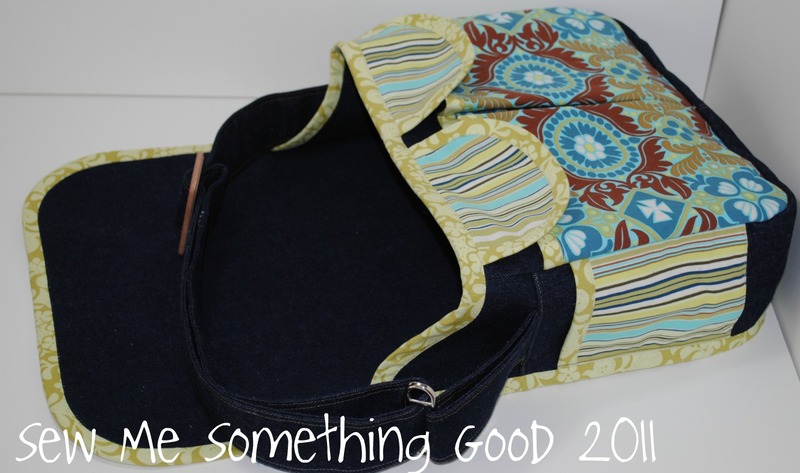 Even though my sons are now teens, I wanted to have a look through Oliver + S Little Things to Sew: 20 Classic Accessories and Toys for Children by Liesl Gibson. It's a gorgeous book! 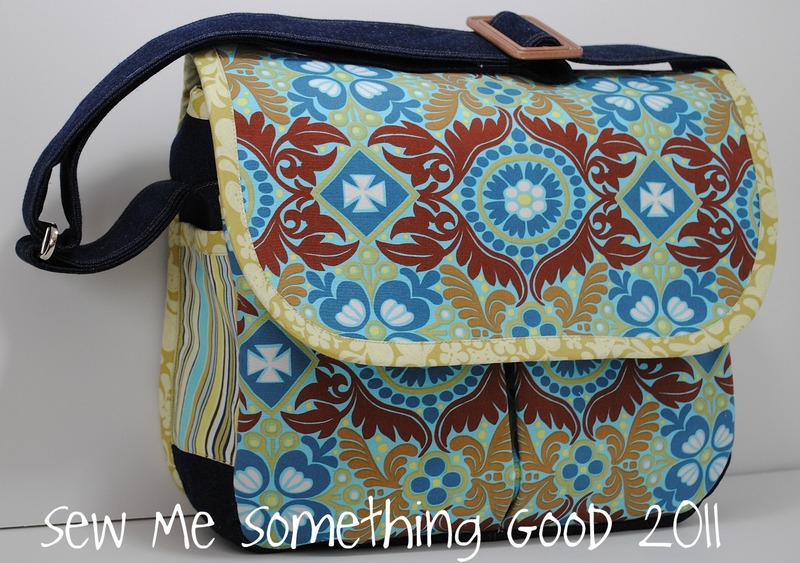 I fell in love with design she has for making a child size messenger bag. I knew it would be a perfect gift for my 3 year old niece, so I started through my stash to see what I could come up with. I had everything I needed, right down to the bag hardware! This is where my thrift sale forays have paid off - see the blue slider on the bag strap? Yep. Thrifted. I had no idea what I would eventually use it for when I bought it, but I never worry too much about that when I find such goodies. 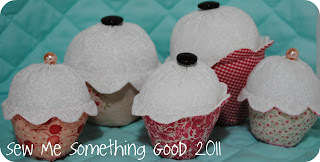 Did I mention how clever, Liesl's pattern is? I love all the bias binding for finishing the bag's edges. Self-made binding may take a little extra time to make, but I think it is so worth the effort. Just try to find this shade of green in ready made binding! 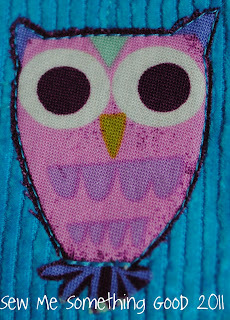 ;o) Back to the pattern, I only made one design change from the original. I added an inset pocket to the back of the bag for fun (and honestly, in an attempt to use up the massive stash of thrifted zippers I have...lol ). I should also admit I didn't use the recommended materials listed on the pattern - it suggests medium wt. fabrics like decorator weight fabric or canvas. I used what I had on hand, which was some medium wale corduroy. I interfaced the corduroy for the main flap along with the cotton used for the lining of the flap. It worked a treat. 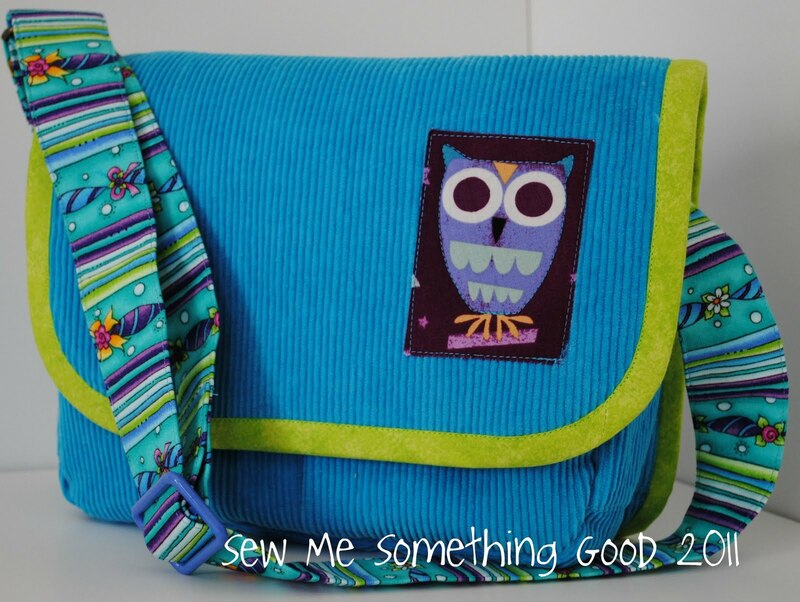 Enough weight to keep the bag's shape, but not too bulky for sewing all those layers together. For the strap, I used the same quilting weight cotton as the lining, but I interfaced it to give it more heft and stability. 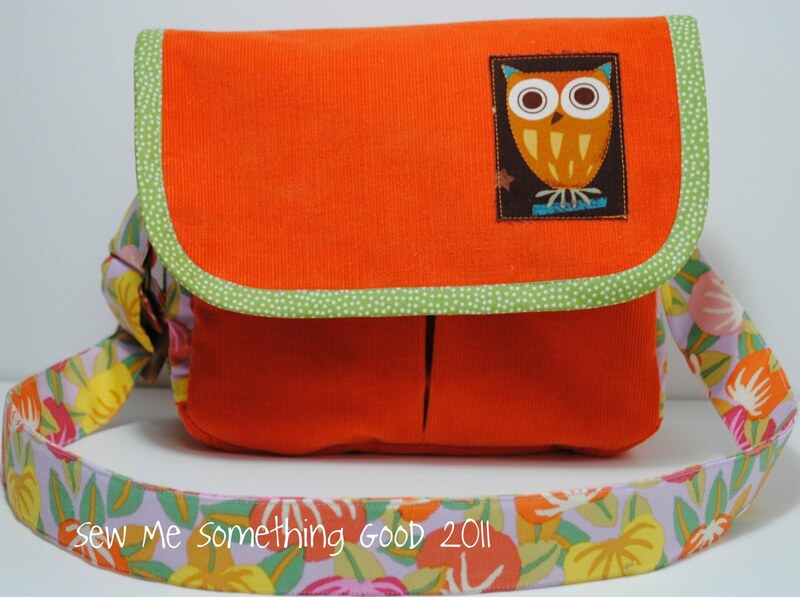 The bag may be for little ones, but it's big on details! 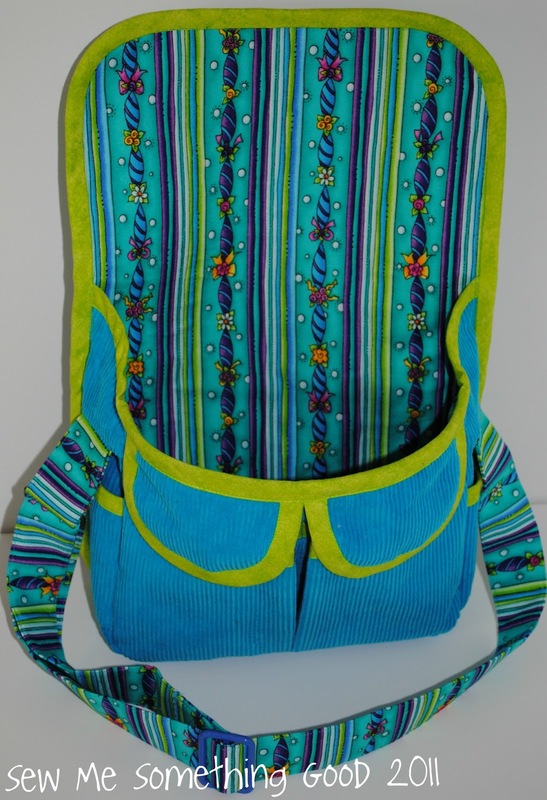 I love the little side pockets and the extra pocket on the bag's interior. I stitched the interior pocket so it would hold pencils, just in case my niece wants to tote some art supplies along. I'm excited to share with you the finished results of the quilt made by Kate and myself to be donated to Quilts Recover. FYI, Kate has a tutorial over here so you can make your own "Through the Trees" quilt. 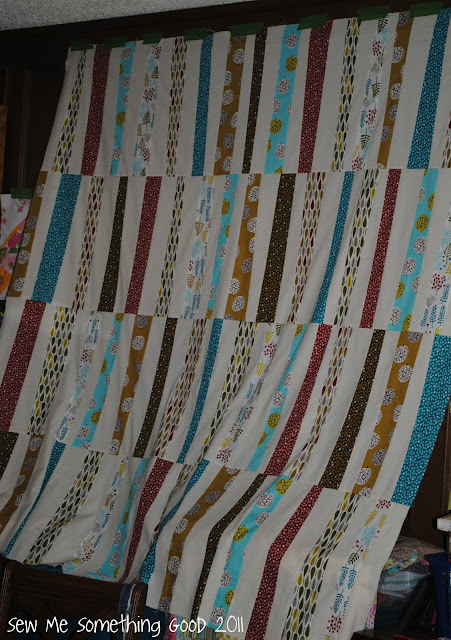 If you remember, Kate made the quilt top, mailed from it from Australia to my home in Canada, with my contribution to be adding batting, backing, quilting and then binding to make a quilt. 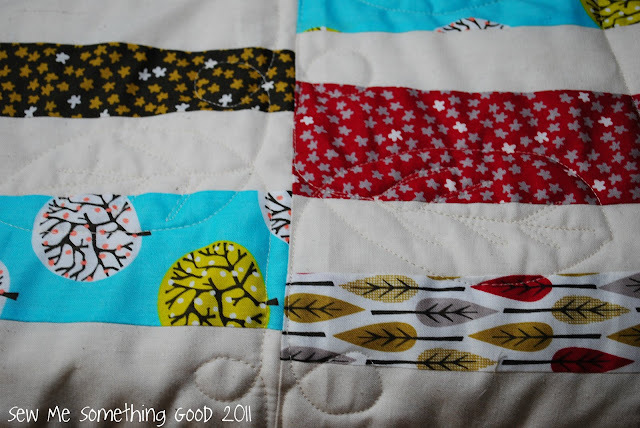 Choosing a neutral backing, I then free motion quilted the entire quilt, incorporating lots of leaves with some loop-de-loops and some wavy lines. Leaves just seemed right for a quilt called "Through the Trees". Then for the binding, I happened to find a lovely saturated brown fabric with ellipses printed on it in shades found in the fabric Kate used for her piecing. I had envisioned a dark binding - but unbelievably, I had nothing in my stash that would work (they were all the wrong shade of brown! ;o). A trip to a LQS over the weekend saved the day! I think the dark brown works well in framing the quilt, so I'm quite pleased with it. 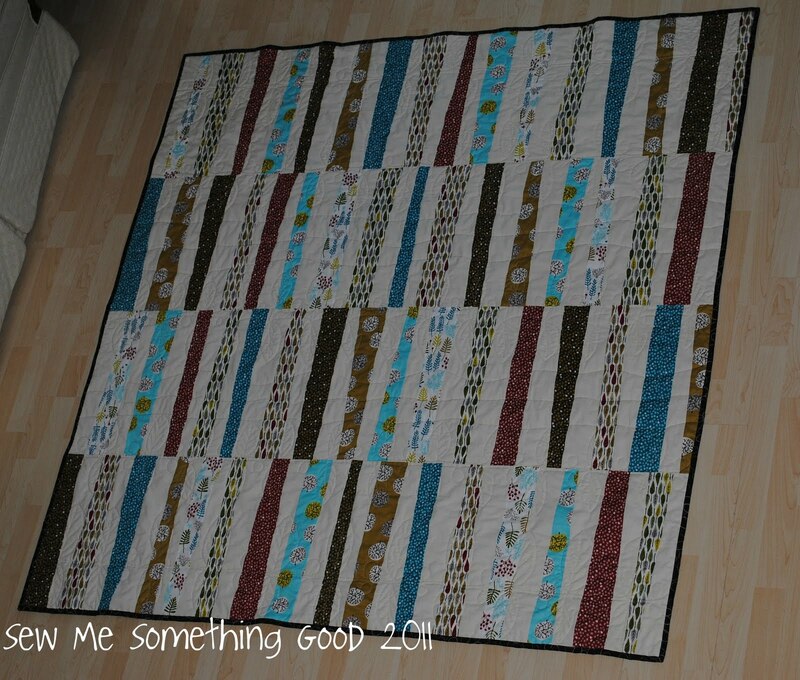 Making this quilt has been a wonderful experience, I have never partnered with anyone to make a quilt before, but I would happily do it again. It's really special knowing that our joint efforts have made a quilt that is one-of-a-kind and knowing that wherever this quilt may travel to next, someone is going to be wrapped in love. Thanks so much Kate, for the pleasure of creating a beautiful quilt with you. Now, I just need to contact Cheryl, to hand over our donation in person! Just before the weekend, my husband and I had our 21st wedding anniversary. Crazy to realize we've been married for half our lives. It really doesn't seem possible that so much time has passed. And. Then. I look at our oldest son and remember that I was his age (19), when I met and subsequently fell in love with his dad. Gulp. Here we are, 21 years later and I still feel I have been blessed to have married the man who (was, is,) continues to be my best friend and true love. 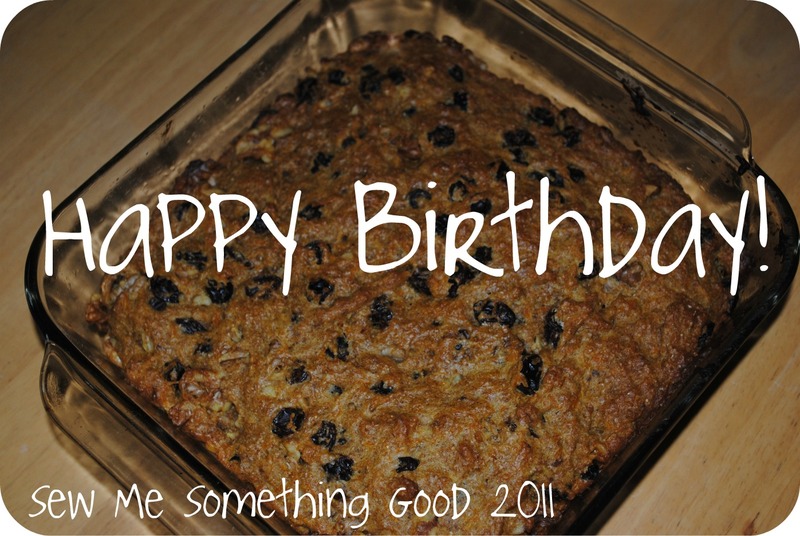 Also, I'm extremely grateful, that I was smart enough to recognize his wonderfulness, all those years ago. Marrying him has been the best decision I ever made and each year with him reaffirms that. As our anniversary approached I keep thinking back over our married life. So, it may come as no surprise that my newest WIP reflects my thoughts. I had been playing around with some HSTs layouts, when I realized I was looking at a "wedding ring" block! 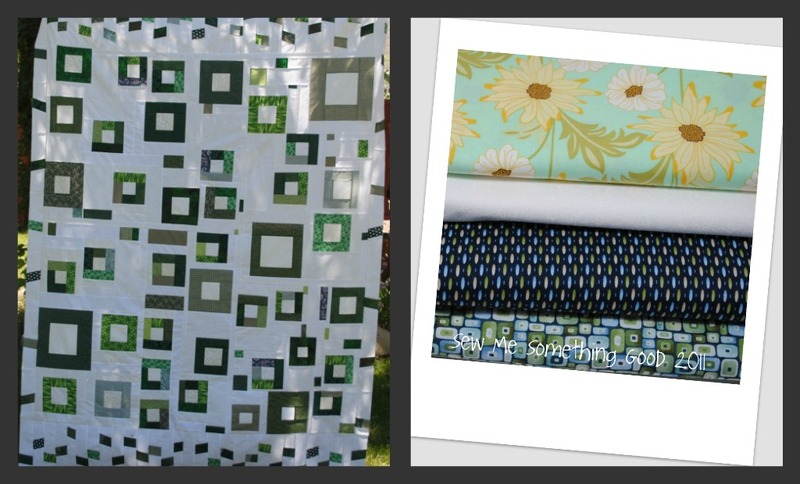 It was all the inspiration I needed to make a new quilt. 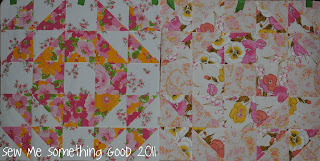 I've taken some of my vintage sheet collection and paired them with a traditional block design. I've given this familiar design a new spin by making it really, really large. My finished blocks are 32.5" square! 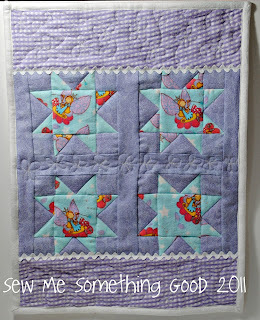 It seems like a lovely way to combine a special anniversary with my love of quilting. Stay tuned for more on this project. A few posts ago, I mentioned that I would be donating to Quilts Recover. What I didn't mention then, that along with making at least one quilt to donate, I would also have the honor of working with Kate Conklin on a quilt. 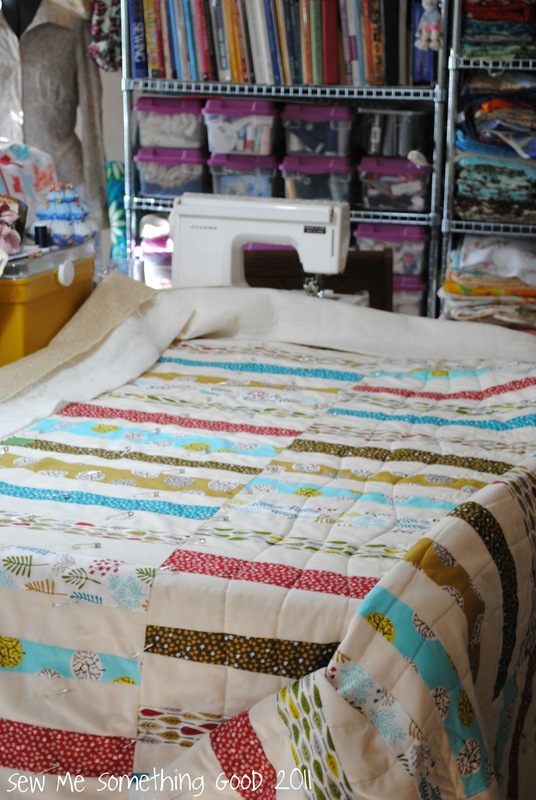 Kate decided she wanted to contribute to Quilts Recover, but knew that a finished quilt would be rather pricey to mail overseas. 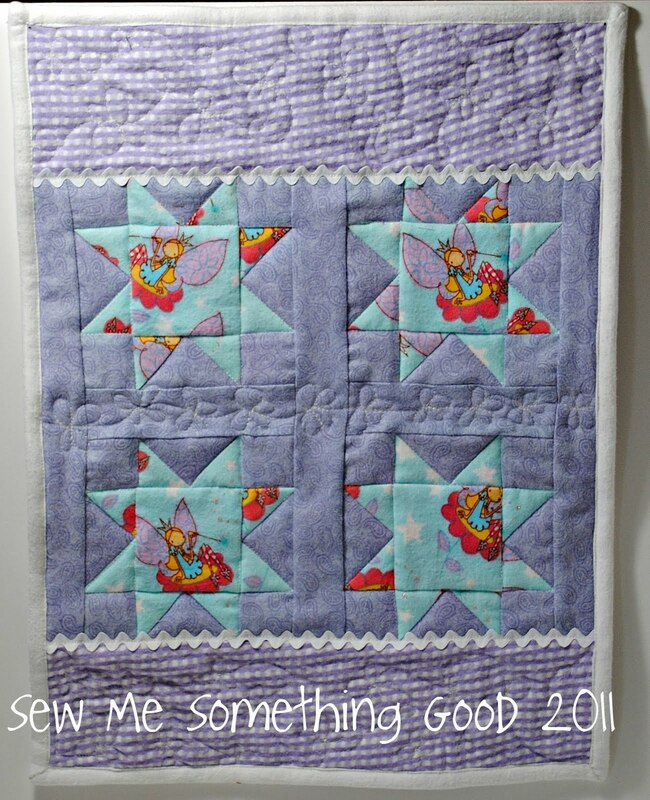 She put a request on her blog to see if she could find someone that would be willing to take her quilt top and turn it into a finished quilt. I wasn't the only one to step forward, there were several willing helpers, but it just so happens that I live in the city that Quilts Recover is based. 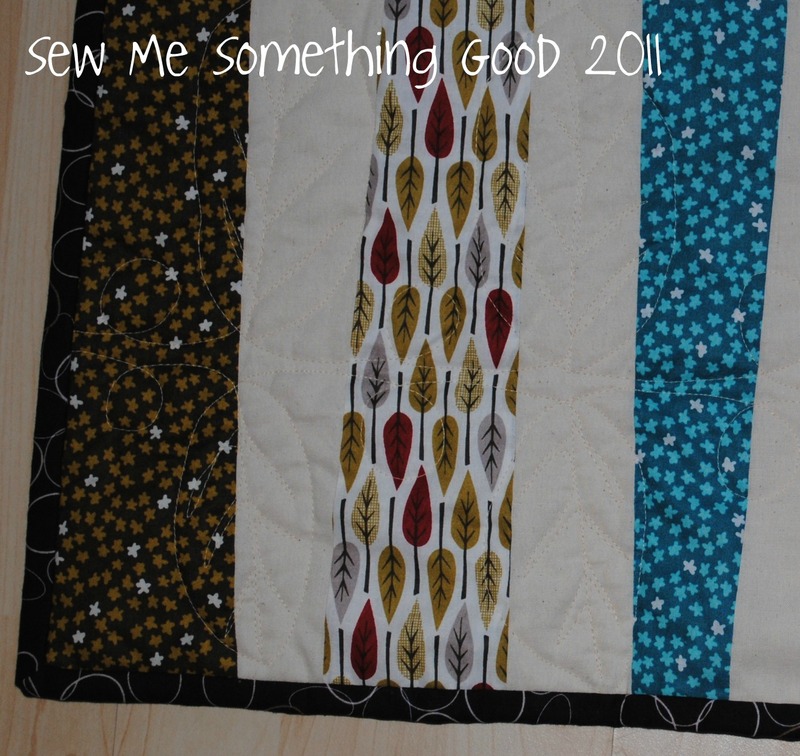 Kate has more (better) photos of her quilt top, "Through the Trees" over on her blog AND she has a link for the tutorial, so you can make one too! Kate's wonderful quilt top made it's long journey from Adelaide to Calgary, and after I quickly pressed out the travel wrinkles, I hung it in my sewing room. Placing it on my design wall, (to help me figure out how to quilt it; keep it from getting re-wrinkled; along with plain, old letting me admire it ;o) seemed a little surreal. 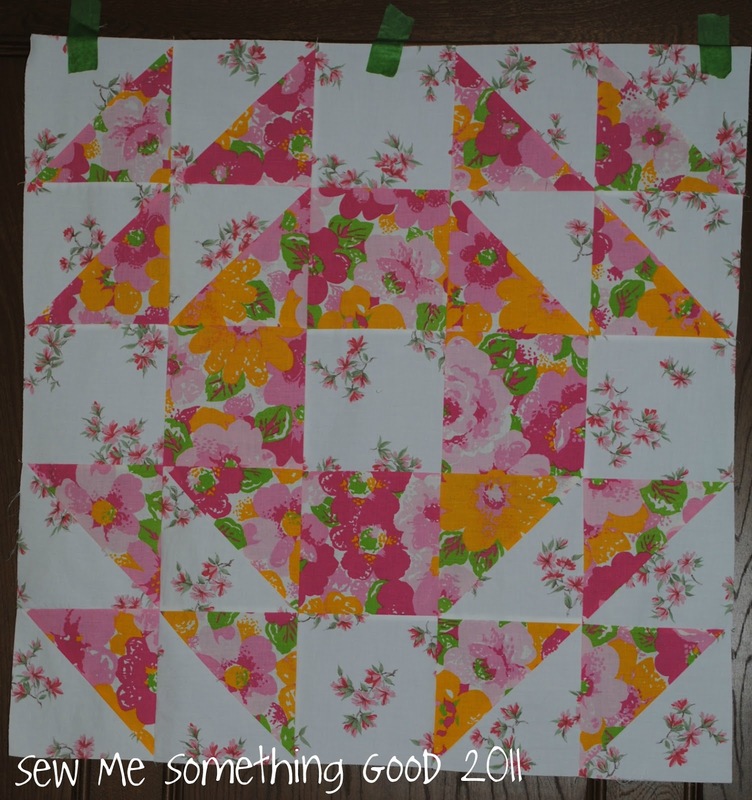 I had admired it on Kate's blog such a short time ago and could hardly believe it was now in my home awaiting the final steps to make it into a quilt. 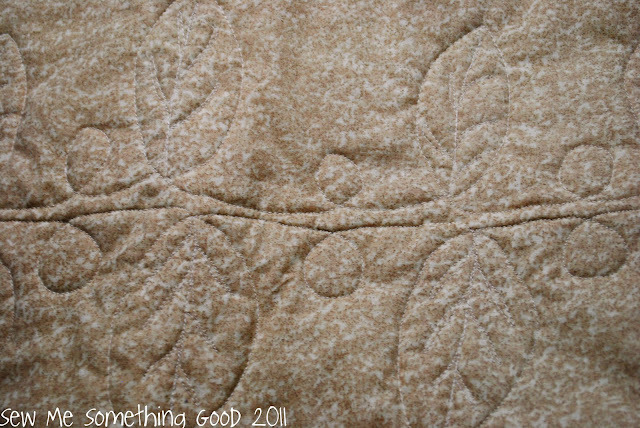 Emailing with Kate, we discovered that both of us thought quilting leaves in some form onto the quilt would be fitting. Although you can't see from the in progress photo above, I've free motion quilted rows of leaves and some wavy lines (which really show up in the photo above) between them, onto Kate's quilt top. 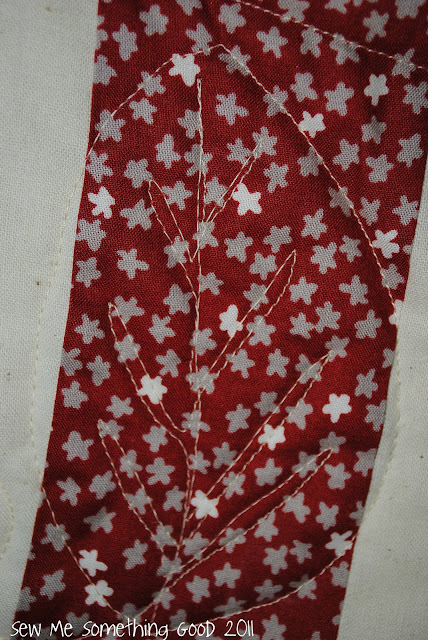 Here's a close-up of one of the many free motioned quilted leaves I've stitched onto "Through the Trees". I've spaced the leaves with loops, placing double rows of leaves and loops back to back across the width of the quilt. The trickiest bit about all of this? Hoping I can honor the vision that Kate had for her quilt. Kate is absolutely marvellous about our sharing and I'm truly delighted to be able to play a part in her quilt, especially since it's destined for someone in need. What an honor! It is exciting to think that this "global" quilt will soon be ready to be donated. 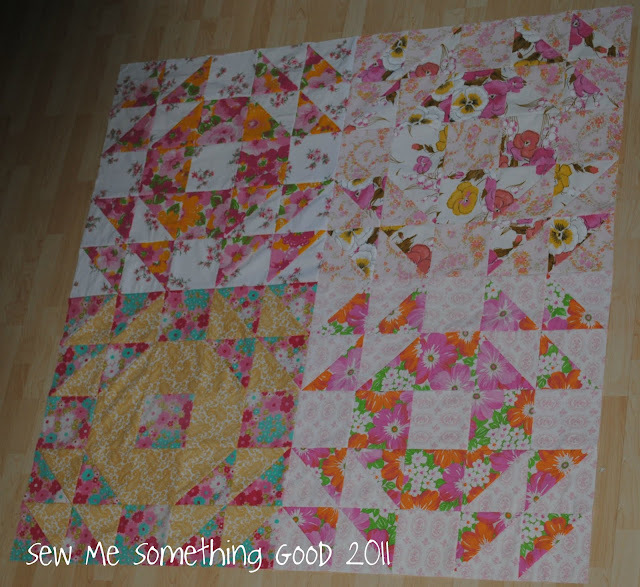 I need to finish the quilting first and then a trip to the fabric store to find something for the binding. Fingers crossed I can accomplish this by the weekend.